Death Punch’d is the autobiography of Five Finger Death Punch’s drummer Jeremy Spencer. A really amazing and truly inspiring story for anybody who is a struggling addict or musician trying to make it in the music business. Jeremy Spencer brings us a very unique book. Each chapter is a different era of his life. One chapter he talks about his present, while the next one he talks about growing up, and so forth and so on. So each chapter you have a nice balance of past and present. Jeremy makes no excuses for and is brutally honest about his drug abuse. He was clean and sober for 15 years before he met a certain girl and thats where it all went down hill. He started back in his old ways of using drugs and alcohol in deadly amounts. Throughtout the book there are many stories about FFDP from forming the band to all the debauchery that goes on tour. 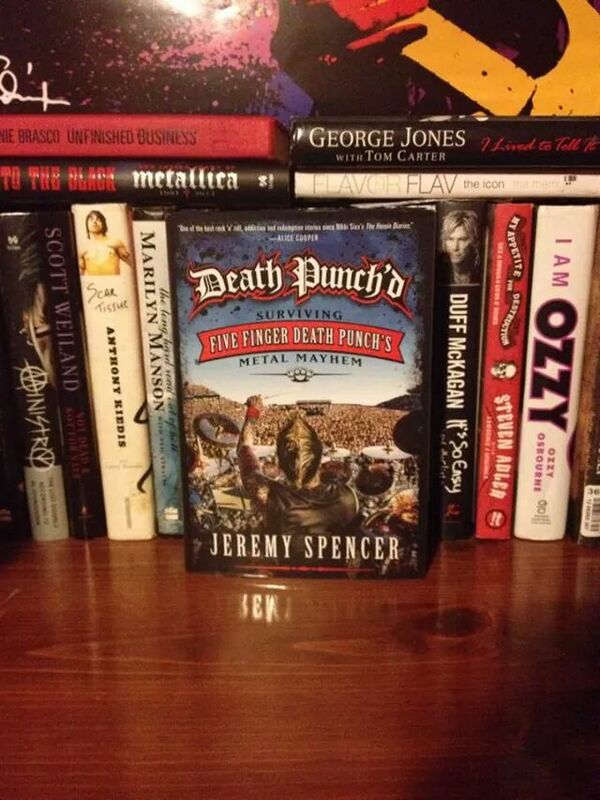 If you buy this book just for the FFDP stories you will be dissapointed because Jeremy’s story is much more than just being in his band. You get to know how he moved to California a few times to try to make big in a band. Without giving much away, he was in a country band and even tried synth pop. Jeremy went through a lot in his early life and it all paid off at the end. This was one of the funniest, down to earth books ive read in a while.